In this coming week, we are going to start a new topic on Yahweh's Everlasting Name. In Topic 4, we looked at "This is My Name FOREVER"
In Topic 5, we looked at "Blessed be the Name of God FOREVER"
For Topic 6, we will look at "Calling on Yahweh's EVERLASTING Name"
Hopefully in these 3 sequential series of Topics, you can see the importance of the 'eternal' nature of God's Name. Yahweh's Name is not like any name. Yahweh's Name is an Everlasting Name. When we call on God, we are calling on God's Everlasting Name. In the following days, we will see examples of prophets and men of God consciously calling on God's Name, paying special attention to the 'everlasting' nature of Yahweh. 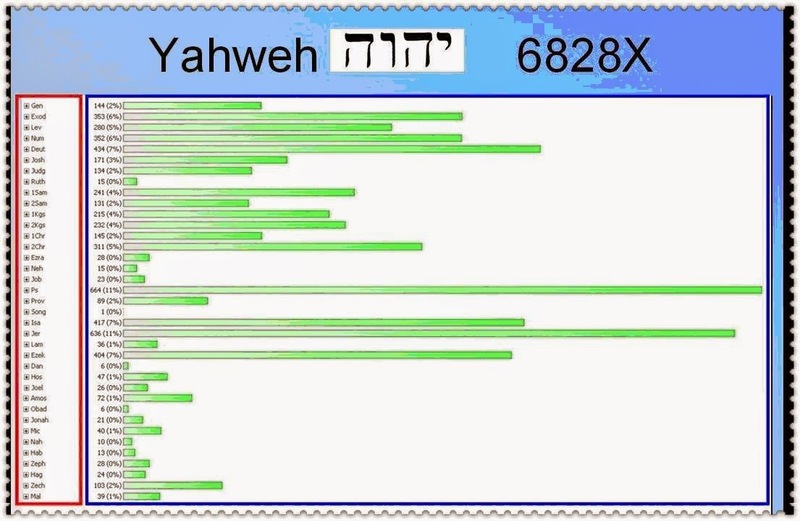 For today, I will post 6 Bible statistics Graphs for you to have a general overview again on the significance of God's Name - Yahweh. The following 6 sets of words are very important to our present study. From now on, whenever you come across these words in your Bible, highlight them. You will find that you will see these words appearing on every page in your Bible. After serving Yahweh God for 25 years, I have now come to realize the significance of the Name of God, Yahweh in the Bible. 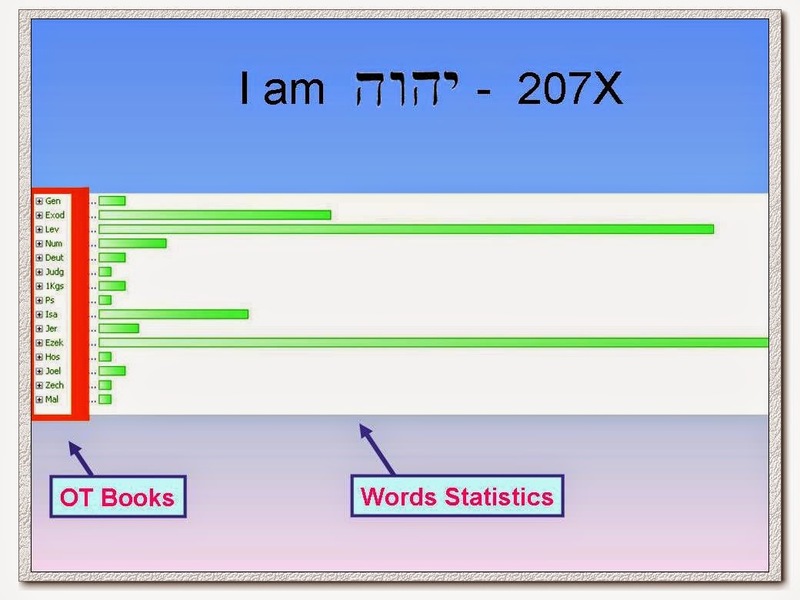 Just looking at the following 6 statistics graph will give you a lot of insights about God's mind as He reveals His Name to you in the different books of the Old Testament. 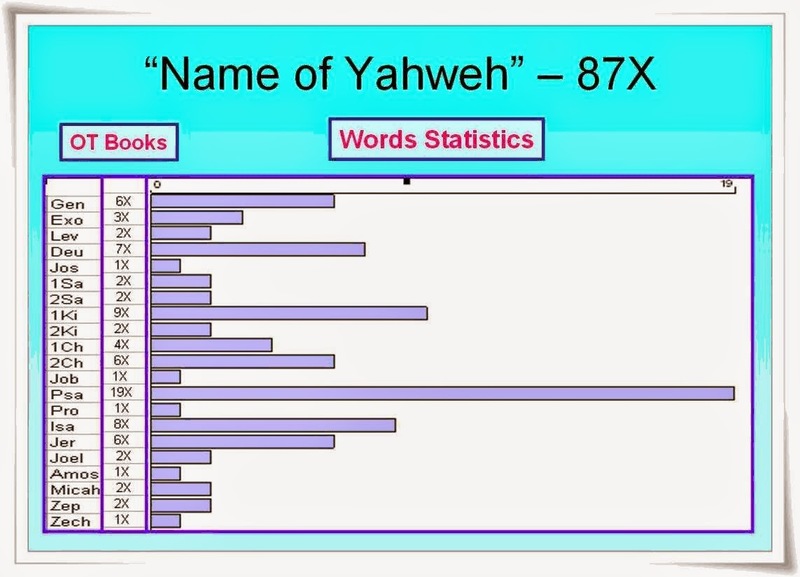 So far in our studies, we have seen that the word "Yahweh" is the most frequent noun in the Bible. The main focus of the Bible is "Yahweh". Whenever God says something of great significance and requiring special attention, He reveals Himself as "I am Yahweh". Can you feel the heart beat of God as to how much He wants us to know Him as Yahweh? Last year, when I discovered these words spoken by Yahweh God, "I am Yahweh", this revelation drew me to love Him and His Name more and more. There are so many riches in this simple phrase. We will need to spend a few weeks to study on this topic this year if God willing. The most occurrence of this phrase is in Ezekiel. Do you know why? The rebellious Israelites in exiles were forgetting God's Name. Ezekiel's message kept drawing them to remember "they will know that I am Yahweh." Do you also notice that "I am Yahweh" occurs frequently in the Book of Leviticus. This should draw you all the more to study the book of Leviticus with new insights. What we often thought was a boring book will turn out to be a very exciting book of God's revelation of His Name. While "Yahweh" appears the most in the book of Psalm, the phrase "Name of Yahweh" occurs also the most in the book of Psalm. Can you guess the reason why? Yahweh God sometimes puts emphasis on 'My Name' because He wants us to call on "His Name" and not just call on Lord or God in prayer. If you take time to look at all the references to "My Name", you will be able to see where God puts the significance regarding His own Name. Again, if God willing, we will do an in-depth study on this in the future. 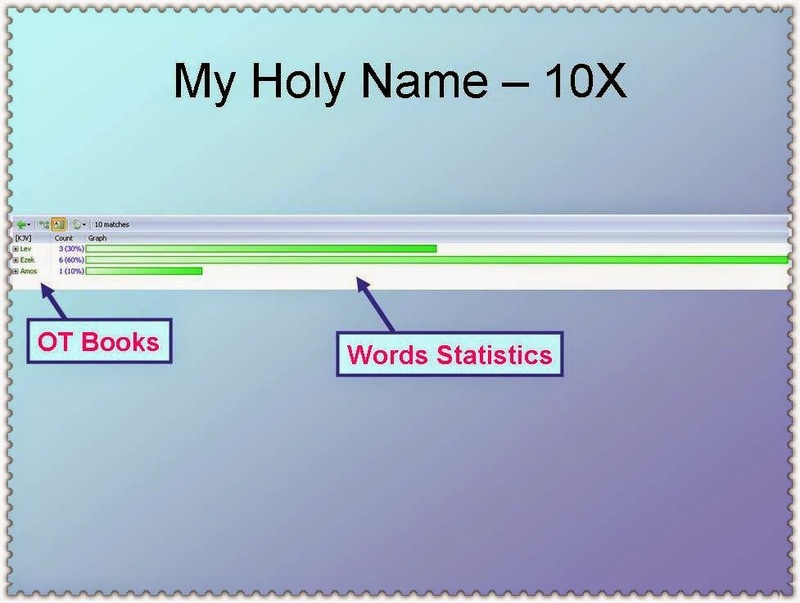 To emphasize the importance of the holiness of His Name, God specifically says "My Holy Name". The most occurrence is found in the Book of Ezekiel as Ezekiel is dealing with the rebellious Israelites who had polluted themselves in grievous sins, so God is reminding of His holiness to draw them back to Yahweh God. 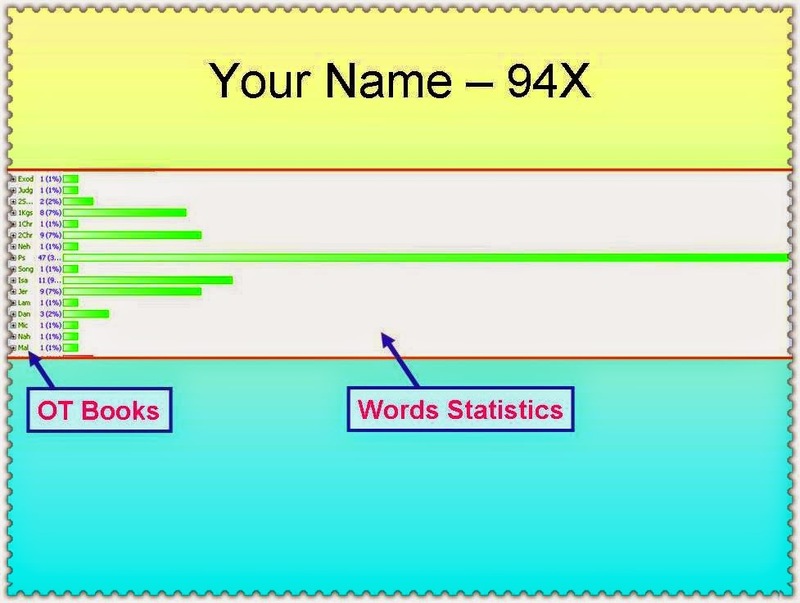 It is not surprising that "Your Name" has the most occurrence in the book of Psalms. While the psalmists often call on Yahweh in prayer, they are also concerned to pray to God concerning Yahweh's Name, thus "Your Name" is usually a focal point of their prayers. Do you ever pray to God about "Your Name . . ."? In the Lord's prayer, Jesus instructs us to pray "Hallowed be Your Name." 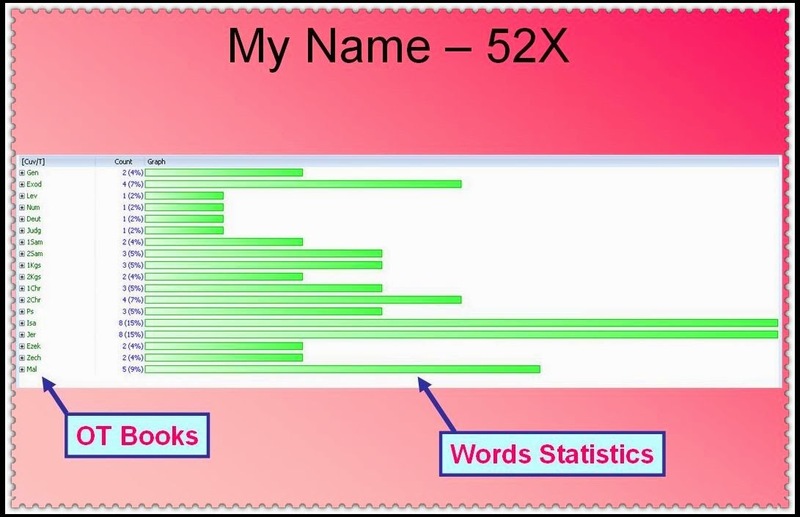 These statistics reveal to us the important emphasis God places on His Name. When we enter into prayer, all the more, we must call on God's Name, Yahweh. This week we will call on God's Everlasting Name ever more deeply from our hearts.